Good for young people ... Very good location, quiet, very friendly staff. Lovely living room area with free use of internet, good and large kitchen. The bedroom was very drafty and cold, so was the bathroom. The faucet on the bidet didn't work. 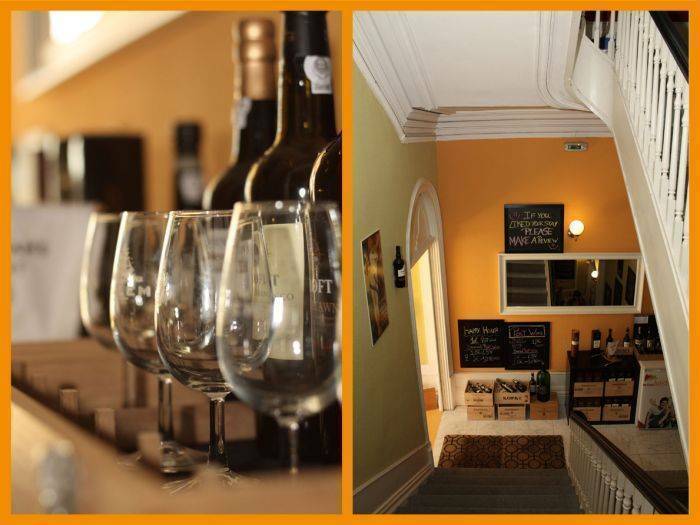 Wine Hostel quickly out on our website. This hostel is themed, the decor is based on the famous Porto wine. It has a living room for common use with balconies, providing a view of the Garden of Cordoaria. Situated next to the Torre dos Clérigos, has free Wi-Fi. 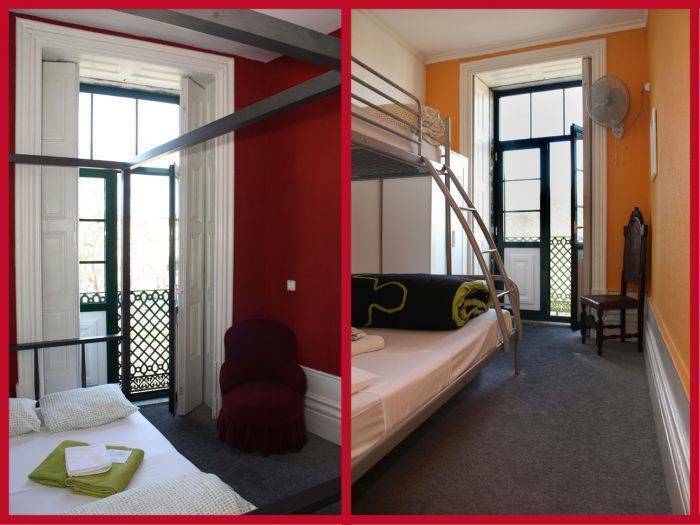 The private suites and dormitories with classical Portuguese architecture include high ceilings, walls with bright colors and enjoy natural daylight. All room have individual reading lights, a fan and a heater. The breakfast is served daily. For lunch and dinner, guests can use the fully equipped kitchen or explore the numerous restaurants and bars nearby the Wine Hostel. Every days the dinner on the table Wine Hostel, restaurant in our building, which has fun dining experience with other guests. On lobby, you can find free maps and information about the area. In addition, it's equipped with two computers with Internet access and laundry facilities including washing machines and tumble dryers. The 24 hour reception will be able to arrange a rental bikes and a shuttle service to Francisco Sá Carneiro Airport in Porto. 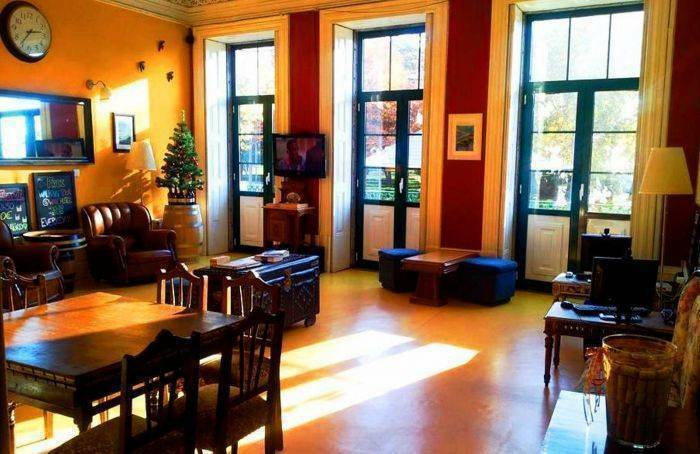 The hostel is located in the Praça da Cordoaria , from where the buses nº 601 and nº 602 allow direct connection to the airport . This is the part of Porto that guests prefer, according to independent reviews . 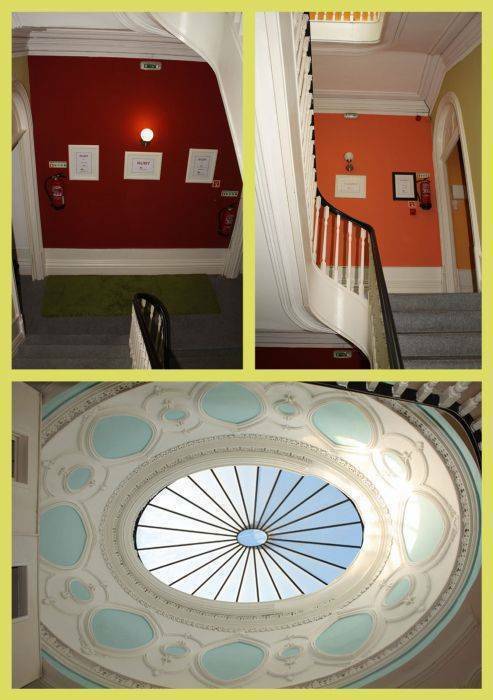 Recently renovated and decorated, this 4 floors building, with private bathrooms in 90% of the rooms, has a living room with balconies towards the garden and Cordoaria square, where you can watch the traditional serenades of students in front of the Hostel in the bandstand. 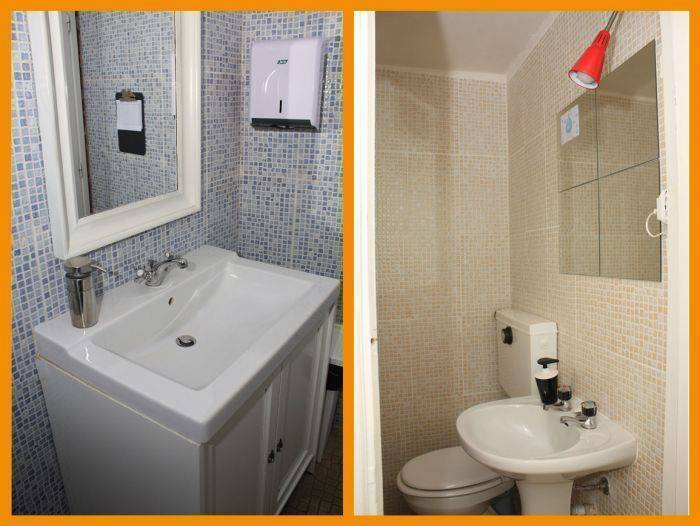 The Wine Hostel has capacity for 45 guests, having a total of 10 rooms, 8 of them with private bathrooms. Room Types: 2 doubles, 1 triple, 3 mixed with 4 beds, 3 mixed with 6 beds and 1 mixed of 8 beds. The Hostel: 1st Floor: Social Area (Reception/ Living Room/ Kitchen) 2nd floor: Ruby Category: Vintage, LBV, SQV and Reserve 3rd Floor: Tawny Category: Harvest, 10 years, 20 years and 30/40years 4th Floor: Pink & White Category: Pink and White The warm and dry colours of the different kinds of wine can be discovered as you walk around the hostel, from the White wines yellow and dry green colours to the fruity young oranges, from the Tawnyï¿½s, followed by the Ruby reds, never forgetting the newest one: the Pink. Almost all the themed rooms have private bathrooms. All rooms have general and individual lightning, internet access (wireless LAN) and are all very comfortable. The Private rooms have imperial manor beds. Every bed has linen and bed clothing. Towels can be rented. Breakfast is included. Free access to the kitchen. Meals everyday, anytime you feel like it. Favorite students spot. Self Service menu with drinks included. The ideal place to try the traditional plates of Porto. Please note that the 1st night of your staying will be charged in case of No-Show. If you cancel the booking on the arrival day we will charge the 1st night. Groups under age of 18 must be accompanied by a responsible adult. The payment of the total will be charged 1 week prior to arrival. If cancelled, reduction in numbers of beds or no show after 1 week prior to arrival there will be No Refund. The Porto Wine Hostel is located right in front of the Clérigo's Tower, one of the most important symbols of Porto. 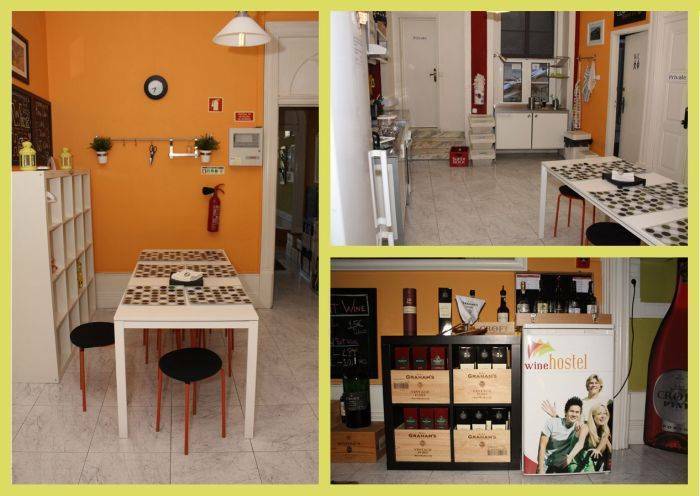 The Hostel is also in the center of Porto most active nightlife area, with bars and cafes just putside the front door. If you need to ask someone for directions how to get to us tell them that The Wine Hostel is in the Cordoaria Garden, in the buildings next to Santo Antonio Hospital and in front of RENEX, it should be enough. Buses nº 601 and nº 602 allow direct connection to the airport .